Old jeans are probably my favourite material to upcycle with. I have a trunk in my bedroom stuffed full of old jeans waiting to be repurposed. 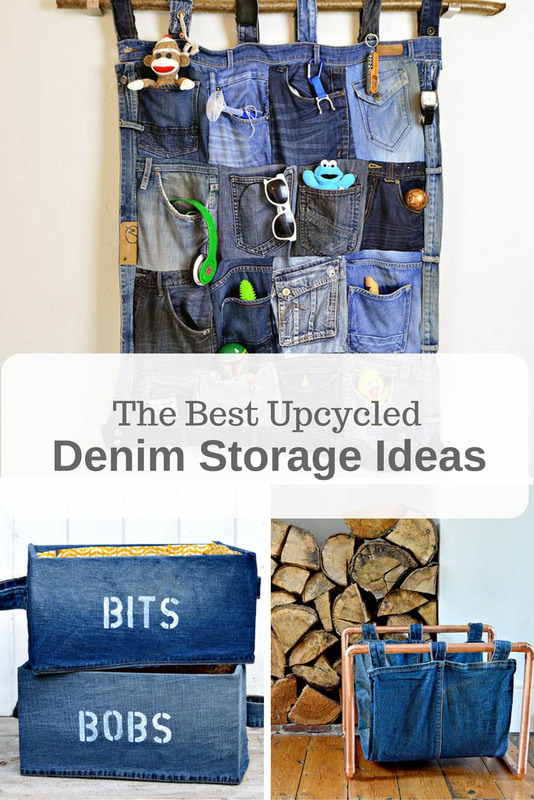 Here I round up some of the best ideas of upcycling those jeans into some fantastic denim storage. There are a lot of things you can do with an old pair of jeans other than turning them into a bag. Last month, I posted some great denim Christmas decoration ideas. The fact that denim is so strong and comes in hundreds of different shades of indigo, makes it great to work with. Other great pluses for using denim, are that it is easy to get hold of and is free. 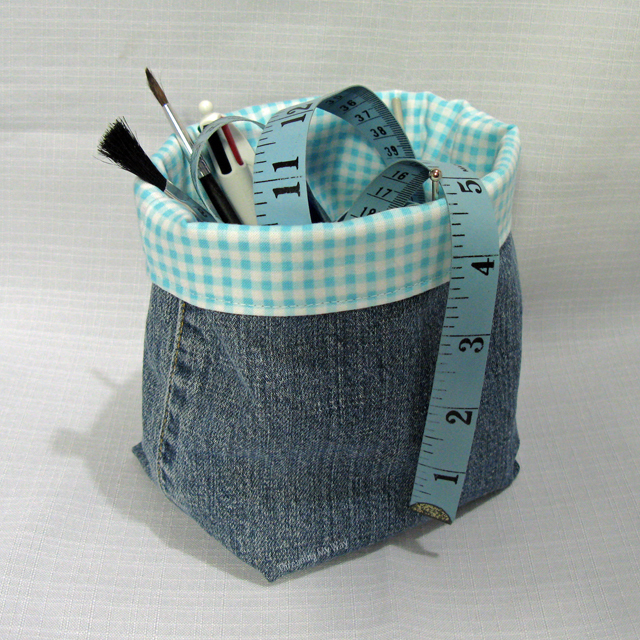 Here I have rounded up five favourite and different ways in which to transform old jeans into a useful storage vessel. This was one of my first denim upcycles and my most popular, I’ve lost count of all the places it has been featured. It still hangs on the wall in my sons room, and is a really useful bit of denim storage. I keep on meaning to make one for my craft room. This is such as a brilliant idea, and there is a great tutorial. 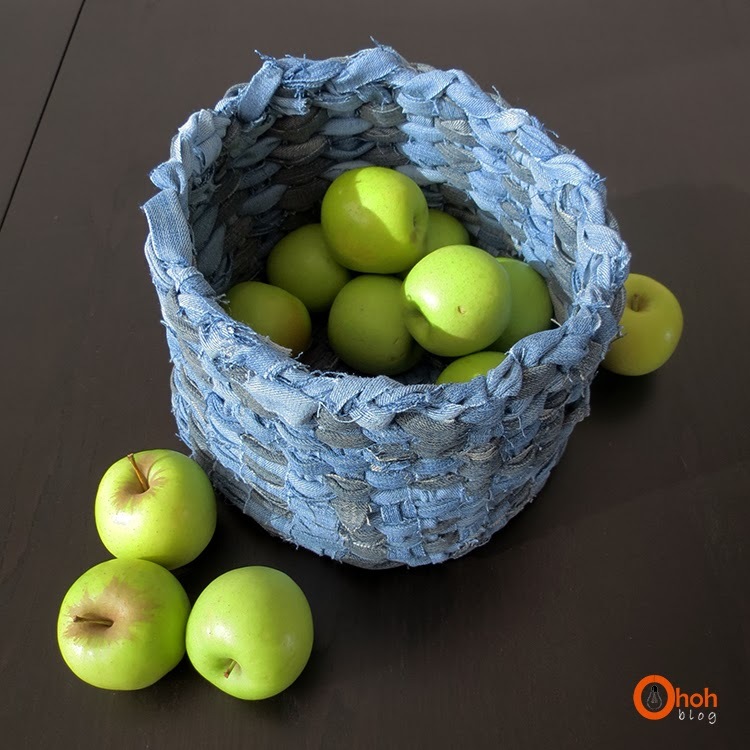 The best thing about these denim storage baskets is that you can choose a fabric for the lining to match your decor. If you don’t have a sewing machine or want a no sew upcycled denim storage option then this is the one for you. 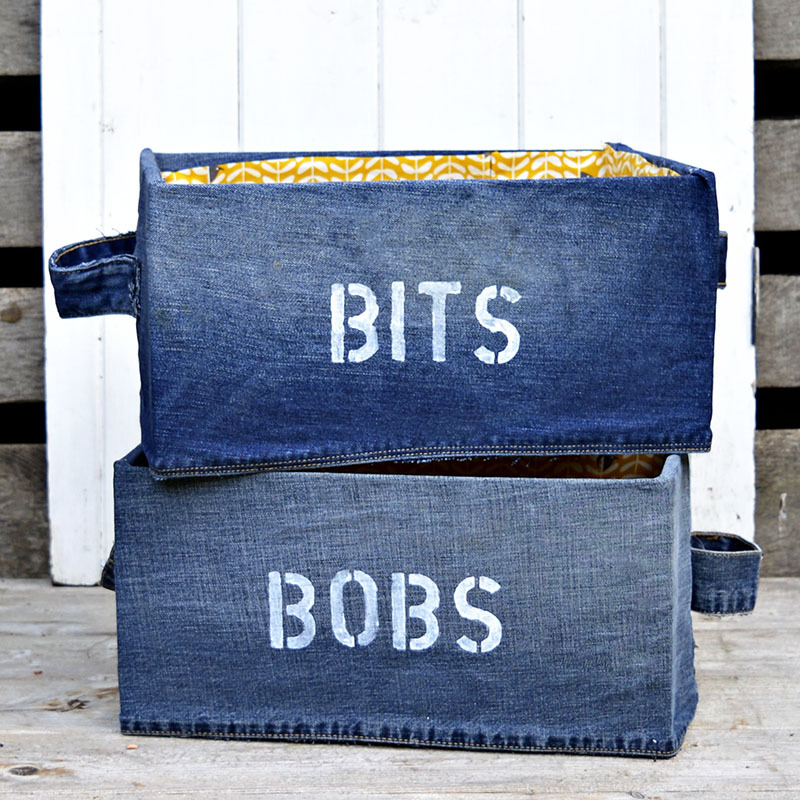 I love the quirky stencilling, “BITS & BOBS” is a very English saying, you could try something else like “ODDS & ENDS”. This is another no sew option and a great way to use up denim scraps. Another one of mine, I told you I had a thing about denim. This was really simple to do, all you need is some copper piping and an old pair or jeans. It was hard to keep this list to my favourite five, but I tried to show variety. I love that you can use all the parts of the jeans from the legs and pockets to the hems and seams. Thank you and thanks for the pin ! All of these ideas are so cute Claire! I especially love the storage boxes with the labels.Thank you so much for joining the party at Dishing It & Digging It! Thanks, the boxes have proved to be very handy full of the ‘bits and bobs’, that don’t have a home yet. Claire I am such a fan of all your projects with denim. It was the first time I saw the magazine holder – another great project! Pinning. Thank you Mary. There will be plenty more denim projects this year ! Denim is sch a strong versatile material, I love it. 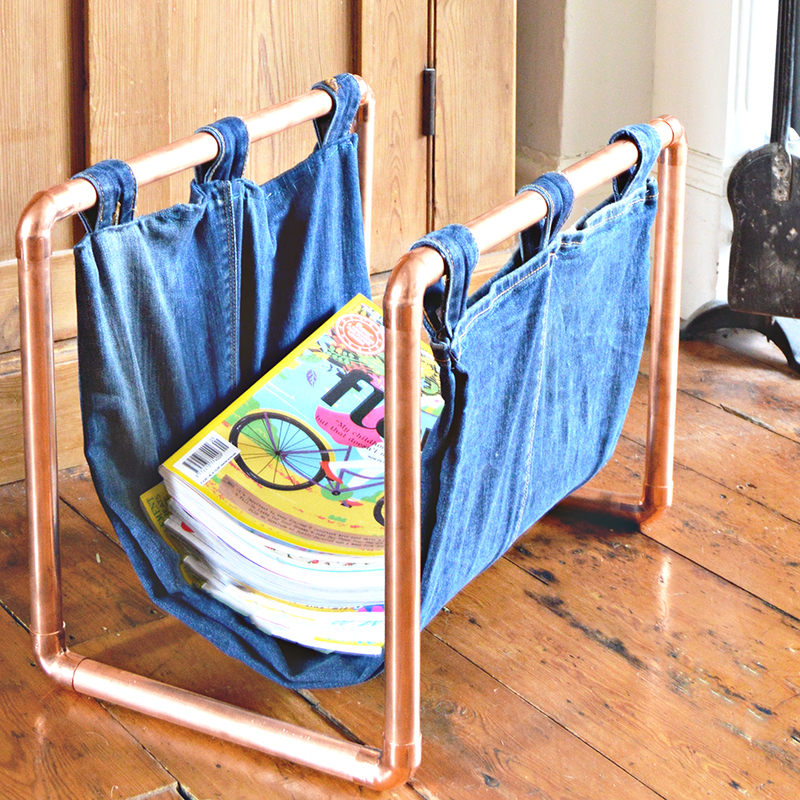 I particularly like the combination of the denim and copper for the magazine rack. Thank you, that’s my husbands favourite the magazine rack. Claire, these are all very clever. I have a friend who saved the jeans and overalls from her two boys’ childhood. When they went off to college, she made quilts out of the pockets, and denim fabric. They are really cute. Thanks, that sounds like a lovely idea. I have a denim quilt it’s lovely and warm in the winter. Thanks, good luck with future denim projects. Wow, denim is really versitile! These are some great ideas. Thanks for sharing on the Waste Less Wednesday Hop! 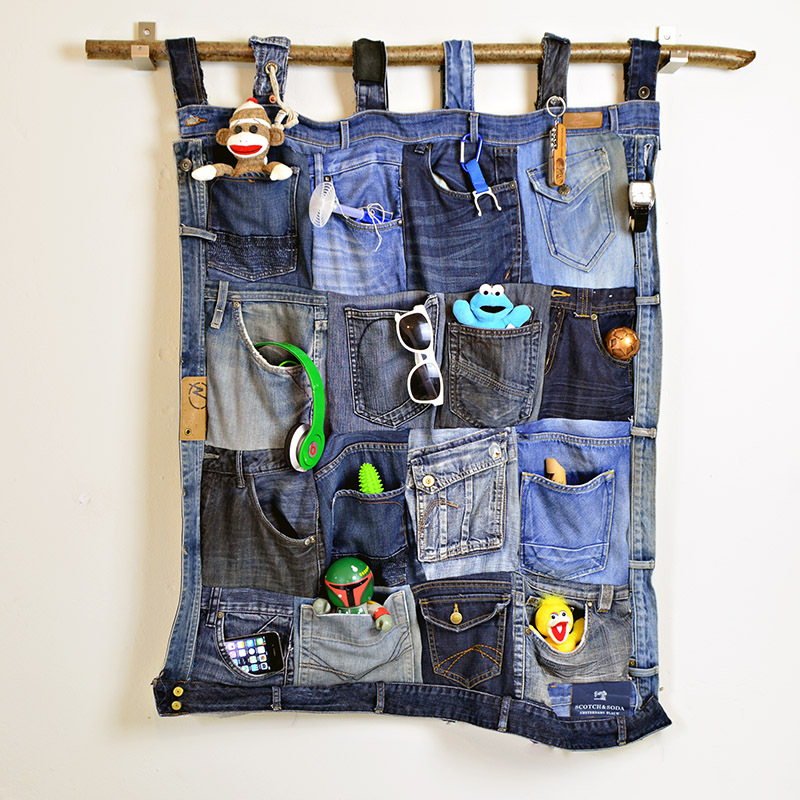 Claire thank you for sharing your fun upcycled denim projects @Vintage Charm! Merry Christmas! Oooh! Great ideas! I pinned. I keep moving my old jeans that are out of style or don’t fit into a pile to use for crafts. This post is a great inspiration. I really like all of your ideas. Cheers and thank you so much. I too have a large stash of old jeans.